Three men charged with burglarizing a lakefront bicycle stand last September have pleaded guilty to theft charges. At the time of the break-in, Lakeshore Bike owner Demian March estimated his losses at $18,000 to $20,000. All three men pleaded guilty to theft charges last week. Jeremiah Avilles, 19, received second chance probation, 30 hours of community service, 40 days in jail offset by 40 days time served, and a fine of $699. He has also been ordered to pay restitution of $567 to the victim. Mauricio Franco, 22, received 24 months probation and one day in jail offset by one day served. He has been ordered to pay the same fine and restitution. Israel Perez, 19, received second chance probation, 18 days in jail offset by 18 days served, and was ordered to submit a DNA sample. Perez has also been ordered to pay the same fine and restitution. 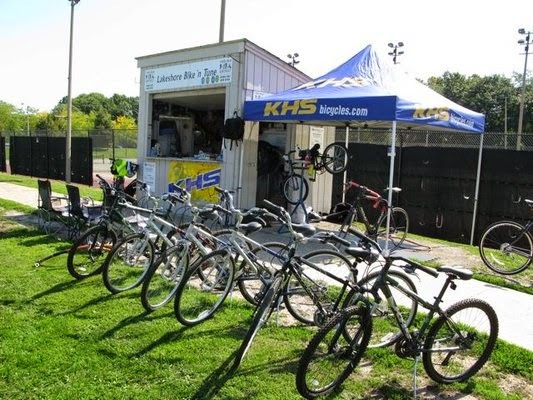 The bike stand is located near the baseball fields across Lake Shore Drive at Addison.